There were 16 students in the 2012 graduating class at Stewart Elementary School. I was one of them. I remember graduation day vividly. We were holed up in room 107, adjacent to the auditorium. We could hear the sound of feet shuffling and our loved ones exchanging pleasantries over our own nervous conversation. We filed out of the room in two lines, one of boys in red gowns, the other of girls in white, in order from shortest to tallest. I was last in the line of seven boys. My palms oozed sweat while the butterflies in my belly danced to the school band's rendition of the classic graduation march "Land of Hope and Glory." My nerves followed me onto the stage, and I remember shedding tears as I delivered a reminiscent and hopeful valedictorian speech to an auditorium packed with my classmates, extended family, staff, and the entire seventh-grade class. I remember being vaguely aware that day that I might not see many of these faces ever again, and that it would be my last time up on that stage. I hadn't the slightest inkling, however, that six years later, Stewart Elementary as I knew it would no longer exist. 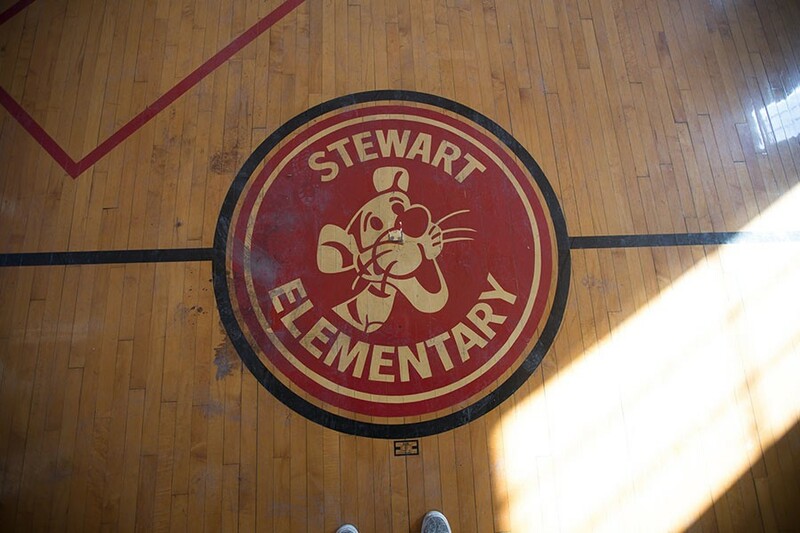 When the Chicago Board of Education announced the closing of 54 elementary schools in 2013 (the figure would eventually be trimmed to 50), Stewart was one of the institutions on the chopping block. According to a Chicago Public Schools report, the school was recommended for closing due to a decline in enrollment (down 41 percent from 2003 to 2013), its lack of full air-conditioning, and the estimated $16 million it would cost to refurbish and maintain it. 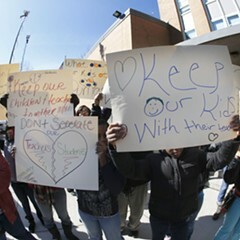 When the 2012-'13 school year ended, CPS recommended that families enroll their children into designated "welcoming schools," which supposedly had been prepped to handle the influx of the students. For attendees of Stewart Elementary, that school was Brennemann, a school originally built in the 60s to handle an overflow of Stewart students. Located a little over half a mile southeast of Stewart in a building half the size, Brennemann would absorb Stewart's student body of 254 children and receive a financial boost of $1.6 million to help assist the transition. The population increase at Brennemann became a point of contention for parents and teachers alike. By the time the next school year began, Stewart's school building was desolate. 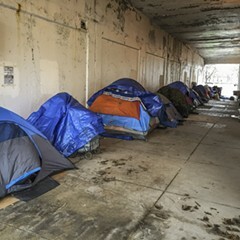 Its lawn had been turned into a small tent city for the neighborhood's homeless, and discussions had begun about how to repurpose the 90,000-square-foot building and the adjacent parking lot. CPS teamed up with the Metropolitan Planning Council and the office of 46th Ward alderman James Cappleman to organize a series of planning workshops. 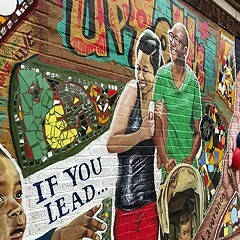 These workshops, called the Uptown Corridor Development Initiative, allowed members of the community to present their ideas for the repurposing of the school grounds. MPC used the input to develop eight recommendations including various combinations of retail, housing (both market rate and affordable), parking lots or garages, and space for nonprofit incubators. 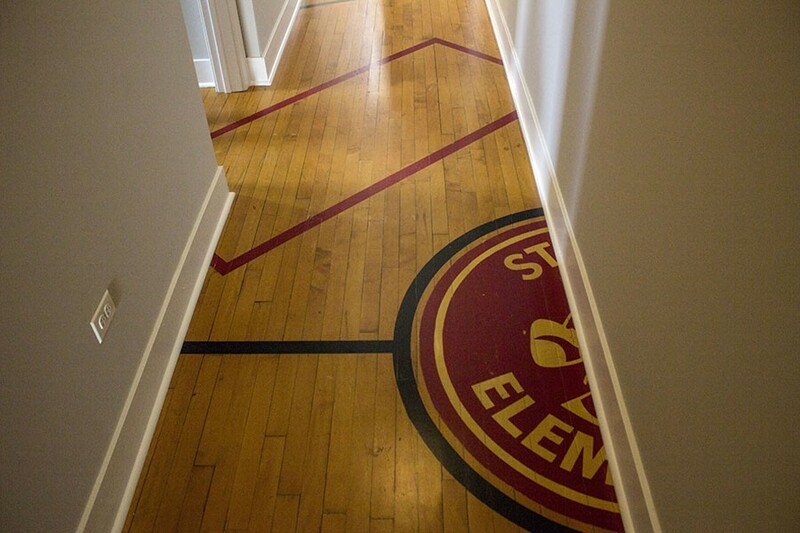 None of those renderings bear much resemblance to what currently exists at Stewart School. In 2015 Morningside Development entered the winning bid of about $5.5 million dollars for the property, according to Morningside's asset manager, Erik Slavik. Now Stewart Elementary School is a 64-unit luxury apartment building. 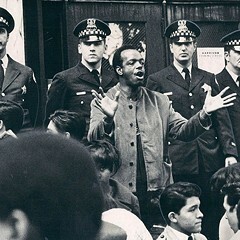 In order to appease residents, Morningside was required by CPS to include one of either a community farmers' market, a community theater, youth recreational programming, job training facilities, or a community garden (Morningside went with the last). Recently I attended the inaugural open house of Stewart School Lofts. Construction had begun in late 2016 and finished early this year; the couple who purchased the first unit moved in April 15, leasing manager Judy Truong told me. It was my first time back at my alma mater since I graduated. From the corner of Kenmore and Wilson, the view of the building was identical to the last time I'd seen it up close. The north entrance of the school—the "Boys Entrance," as the engraving above the door still reads—was adjacent to a newly refurbished parking lot. 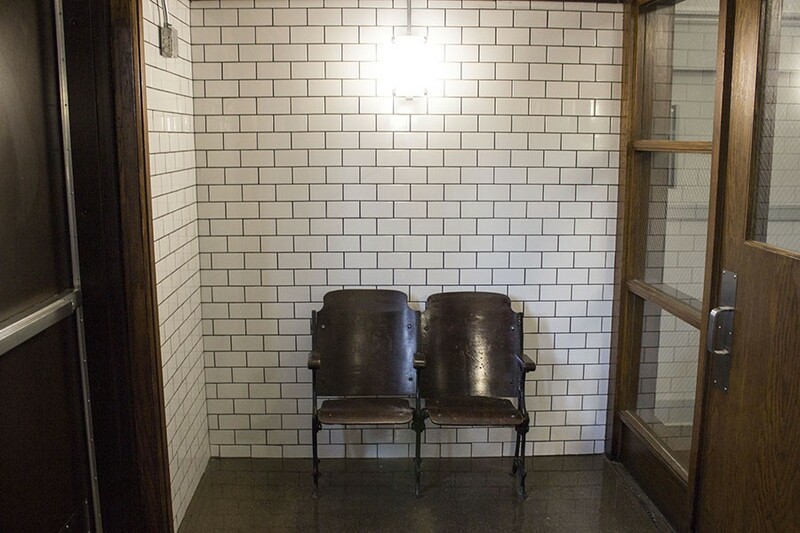 Two wooden theater chairs sat in the foyer. I recognized them from the old auditorium. This was perhaps the most subtle nod to the building's former use as a school; for the most part, its history was in my face at every corner. "We wanted to keep as much of the charm as we could," says Alison Solway, Morningside's marketing manager. "Most of the units have the original hardwood floors, the original decorative molding on the walls. We even kept the chalkboard in one of the units. In some of the rooms, we had to come in and remove coat hooks that had people's names on them." Scattered throughout the hallways are renderings of blueprints of the school's original layout, a reminder of the classrooms each unit has replaced. The two-story auditorium where I gave my graduation speech is now two separate units. Remnants of the former school have been incorporated into the lofts’ design. 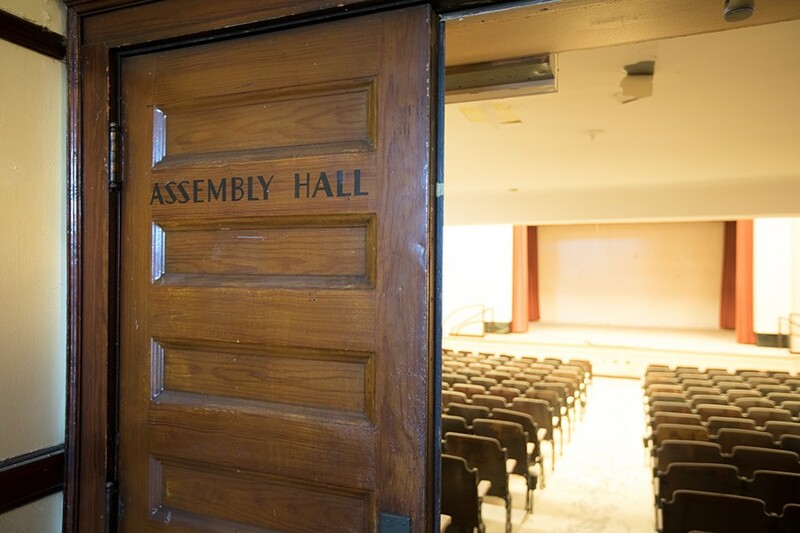 The crown jewel of Stewart School Lofts sits on the second floor—once Stewart Elementary's main floor—just to the right of the former auditorium. It's a built-in trophy case that once held trophies for the school's sports, chess, and robotics teams. Now it holds trophies of a different kind, objects that were quite literally hidden within the schools walls. "When we were clearing things out and starting our restoration, we found so many interesting artifacts," says Solway. "Old music books and classroom logs and different event programs. When we cleaned out the attic, we found old beer and soda cans from like the 1930s. Apparently faculty would sneak up there for a drink back then." Solway's anecdotes about the staff's drinking and Harrison Ford's days as a Stewart student are one of the biggest draws for prospective tenants. "It was something we just kind of came across in our search and we learned about the history of it later," says graphic designer Kelly Schroer, who shares an apartment at Stewart School Lofts with musician Ben Pedersen. "We were both interested in living somewhere that had such a rich history and unique architecture." Pedersen and Schroer had done some research on the school's closing. "We read about the circumstances and how it was kind of falling into disrepair," Schroer says. "It seemed like a great opportunity for the neighborhood to benefit from rehabbing a building that otherwise would've gone vacant. We kind of thought that it was like saving this historical building that was going unused and we thought it was neat to preserve it." Neither made any mention of the fate of the students and teachers that the building had housed prior to its closing. The same was true throughout my tour with Solway, and my brief conversations with Truong and Slavik. There was talk of the school's "rich history" and "beautiful architecture," but never any acknowledgment of the human beings affected by the school closing that gave birth to Stewart School Lofts. It may be too early to say what, if any, benefit Stewart School Lofts will have to the existing Uptown community. Jessie Williams, an Uptown native and fellow graduate of Stewart Elementary, class of 2012, was also at the open house. "It's amazing to me to see what they've done with these old rooms, but not in a totally good way," she says. "I mean, the units are really pretty and everything, but I don't think anyone that attended school here has a family that could afford to live here now." According to statistics provided by CPS, nearly 93 percent of Stewart's student population prior to its closing was eligible for free or reduced-cost lunch. That's 25 percent higher than the average of other schools in the same district. Williams and I were both among them. 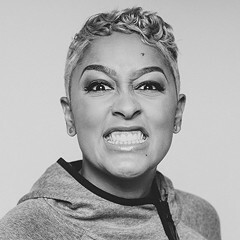 She grew up in a three-bedroom apartment nearby, sharing a room with her younger sister, who also went to Stewart. According to Williams, the rent for their apartment was income based, so her family paid about $500 per month. 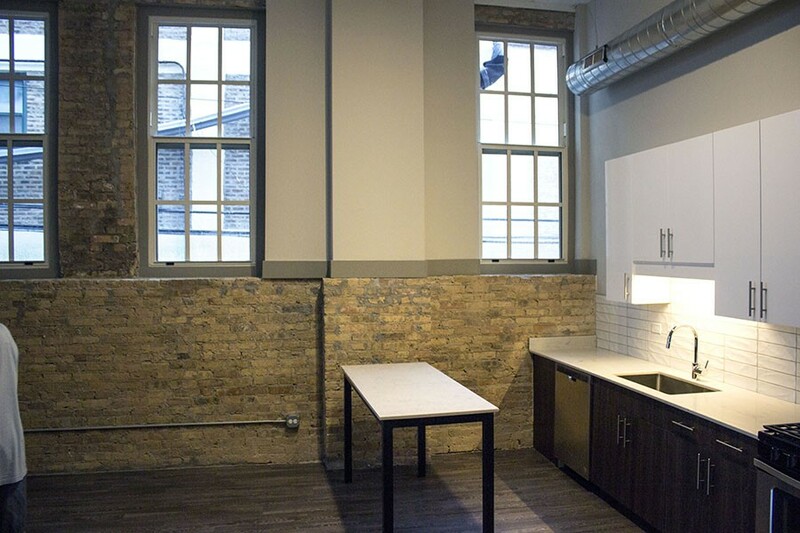 A three-bedroom unit in Stewart School Lofts rents for $3,505 per month now. Unfortunately, the numbers that CPS provides only tell half of the story of the collateral damage from the school's closing. There's also the question of what has become of the displaced faculty and staff. Though hard data isn't available, two of my former teachers from Stewart Elementary, Michelle Washington and Leslie McCray, were willing to discuss their current circumstances with me. McCray, my second-grade teacher, was laid off by the school prior to its closing. "Once they let me go I was looking for work on the west side at first, and I ended up right here at Kilmer [Elementary, in Rogers Park]," she says. "I retired just last year, but I still go back there to sub when I need a little money—which is often." "When the school closed I went to work at Fiske [Elementary], on the south side, for a year," Washington, who taught first grade, says. "Then I went out west to Melody [Elementary], where I teach pre-K."
The two teachers wandered wistfully through the former first-grade classroom that they had, at separate times, each called their own, room 103. The room number and original foyer remain intact despite its repurposing as a 1,410-square-foot two-bedroom apartment—keeping with the theme of historical charm. McCray and Washington have more than 50 years of teaching experience between them. But at their current income level, paying the rent for the unit that was once their classroom—$2,755—would be a serious stretch. It would also be a stretch for many people who are already living in the neighborhood: the median household income in Stewart's census tract is $39,076. But the white population of Uptown has increased 64 percent since 2000, while the average rent in the community continues to see a slow but steady increase. Stewart School is only one of many schools shut down in 2013 that was designated for repurposing. 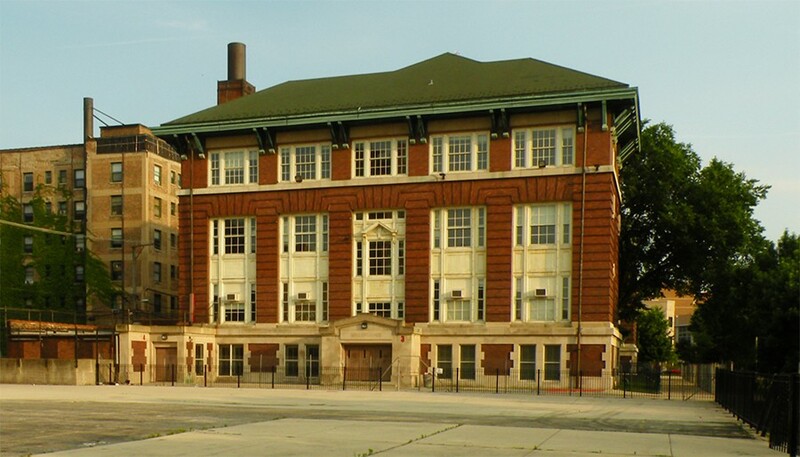 Louis Armstrong Math & Science Elementary, Emmet Elementary in Austin, and Pope Elementary in North Lawndale are currently in the early stages of being transformed into a government-funded housing and training facility for victims of abuse, a community health center, and a community recreational center, respectively. Ventures like these can perhaps help to ensure that repurposed schools provide a new service to a community.